It's a big step—meeting your significant other's friends. While it can be a little scary, there's no need to panic. Here's how to handle it the right way. One of the biggest steps in a new relationship is meeting your partner’s friends. 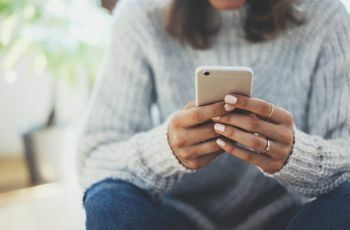 This is particularly important if you and your partner didn’t grow up together or rolled with different social circles in school or adulthood—or met online. You likely want to start off on the right foot, so that you, your partner, and your respective crews can become one big happy family. While it takes time to truly bond with any new friends, there are some ways to make building a relationship even easier. 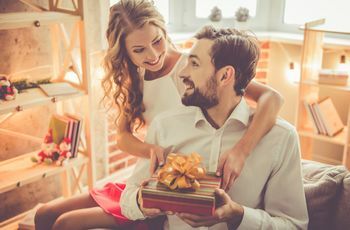 Here are some of the top ways to make your partner’s friends your friends. Talk to your partner about his/her friends before meeting them for the first time. What are their likes and dislikes? What does he or she value most about his friend group? Are there things that you and the crew have in common? 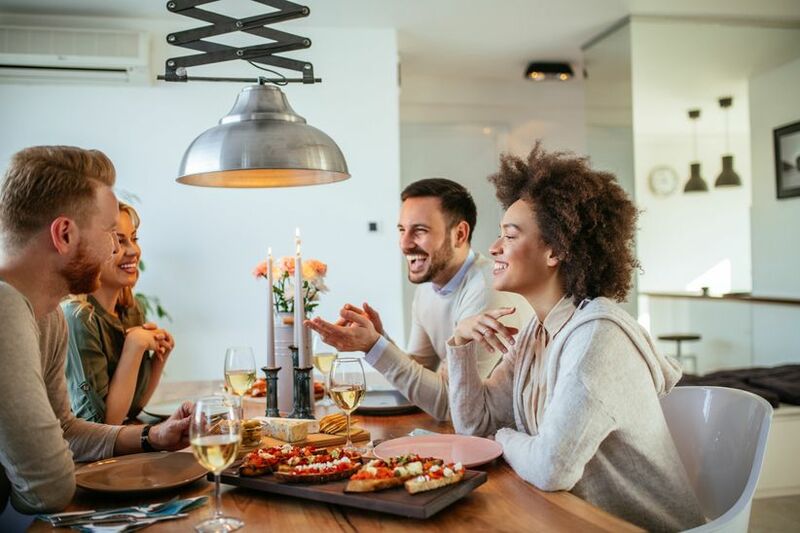 Knowing about things like a favorite spots team, their most-loved TV show, their favorite wine, or any other details can be really helpful in helping to break the ice at a first meeting. When planning your first meet-up with your new boo’s friends, keep the setting as relaxed as possible. You could invite them over to your place, but that may be more stressful than fun. You shouldn’t have to worry about feeding and entertaining your partner’s friend group—the focus should be on getting to know them. A better option is meeting at a favorite watering hole for a drink or a casual restaurant for a group dinner. That way, you can have a relaxed conversation while food and drinks are taken care of—less stress on your part. If you talked to your partner about his crew in advance, you probably already have a good sense of what you have in common. Those are great topics to start with—especially if you’re feeling a little awkward at first. For example, if your partner’s crew are total foodies, you might talk about a recent adventure in the kitchen. Or if they are history buffs, bring up an interesting documentary you just watched. If you’re really worried about breaking the ice, games like Table Topics can be a fun way to start a lively conversation. Potentially divisive topics, like politics, should be avoided at all costs, particularly during that first meeting. 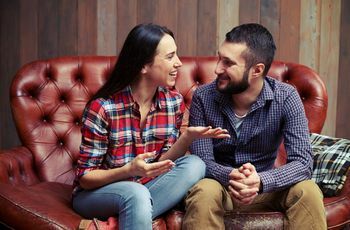 There’s no need to start an argument for the sake of it, especially if you know that your opinion strongly differs from your partner’s pals. Keep the conversation as light and positive as possible, or you’ll risk starting things off on a very wrong foot. At the same time, let your true personality shine through. There’s no need to put on a false personality because you think your partner’s friends will like it. Remember that your partner loves you for who you are, and his or her friends should do the same. And it’s pretty easy to pick up on a person who’s being “fake,” and that’s definitely a turn-off. Of course, developing a relationship with your partner’s friends means that you’ll want to spend time together. However, that doesn’t mean you should show up to every happy hour, every sports game, every ski trip. If significant others are invited to certain events, by all means, be there. But if it’s an event where just the core group of friends is attending, let them have their fun and make other plans. You have your own life, and there’s no need to seem clingy. When meeting your partner’s friends for the first time, be alert and remember as many details as you can. That way, when you see the crew again, you’ll be able to recount topics that you talked about, which is pretty impressive. For example, asking your partner’s BFF about his new dog or remembering that another friend had a big job interview and asking how it went will go a long way in upping those brownie points.